The Giant is one of many Regular Troops in the Clash of Clans game. These big guys may seem calm, but show them a turret or cannon and you’ll see their fury unleashed! Slow yet durable, these warriors are best used to soak up hits. 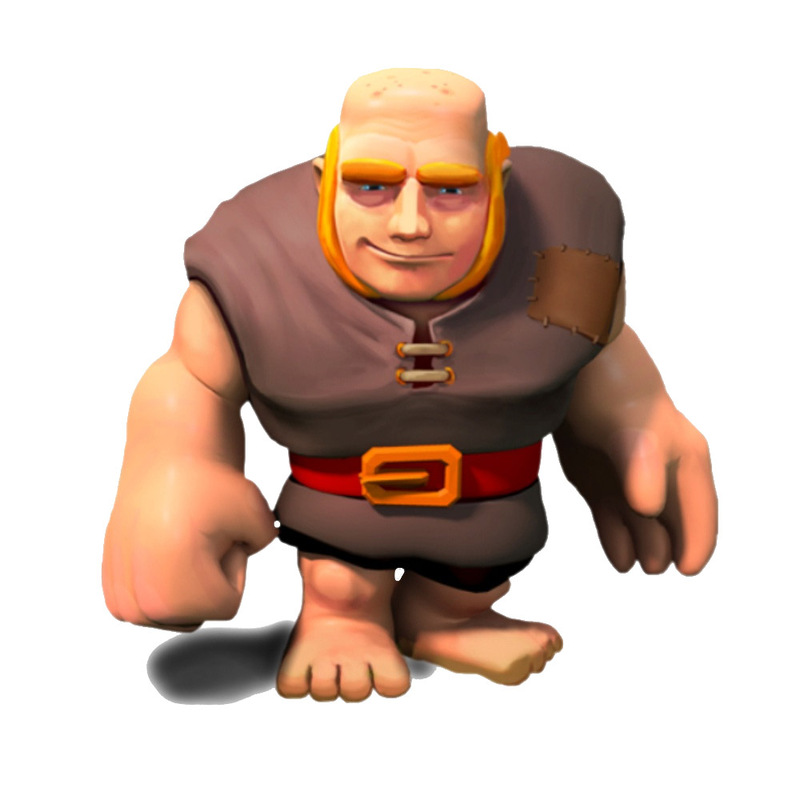 The Giant is the third troop unlocked in the Barracks. 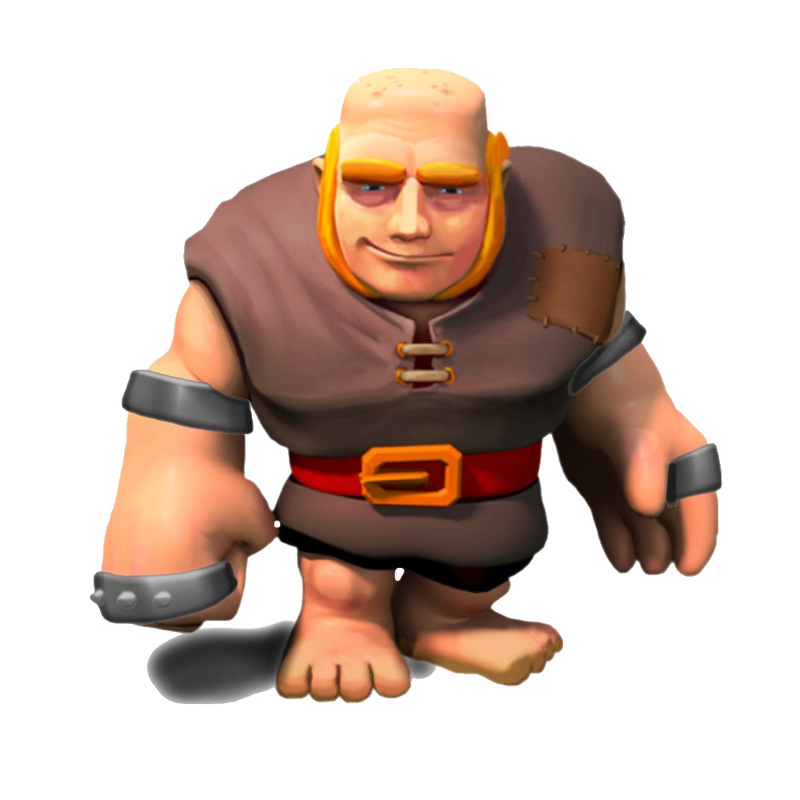 The Giant’s first target is Defenses, making them an ideal troop to deploy to get rid of defenses fast. However due to their low attack damage they are better used in large groups. Giants prioritize Defensive Structures above all other targets, and will bypass all other types of enemy Buildings and Troops while any Defenses remain on the battlefield. This is true even if they are under attack by enemy Clan Castle troops, Heroes or Skeleton Trap skeletons. Note that like all Troops that prioritize Defenses, Giants do not consider the Clan Castle to be a Defense regardless of whether or not it contains enemy Troops. 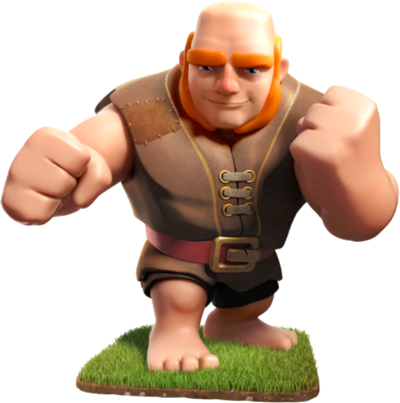 Once all Defenses are destroyed, Giants become like any other Troop with no preferred target; they will attack the nearest building to them regardless of type, and will turn and attack enemy Units if they become aware of any nearby. A level 1 and 2, the Giant wears a brown tunic with a red belt and copper buckle around his waist. He otherwise has no accessories. At level 3, the Giant gains iron cuffs around his arms and iron knuckles on his hands. At level 5, the Giant exchanges the dark metal cuffs and knuckles for golden ones. At level 6, the Giant upgrades his cuffs and knuckles to a black metal. He also grows a long, thick red beard and dons a black feather cape. At level 7, the Giant acquires a golden chest plate underneath its brown tunic that reaches to its shoulders. When you tap the Army Camp the Giants all pump their fists in and out from their chests a few times, similar to humans cracking their knuckles. In game if you closely look at the Giants when they’re pumping their fists you can see that they have no eyes. You can have a maximum of 48 Giants at one time in a complete set of fully upgraded Army Camps. This number increases to 55 if you include the 7 that can fit into a fully upgraded Clan Castle. The Giant’s low damage is visually seen by the attacks with their bare fists. Of all Regular Troops the Giant has the lowest damage per housing space, at 10 DPS per housing space at level 7. The Giant’s main Barracks image changed substantially as part of the “Witch” update (29 July 2013). 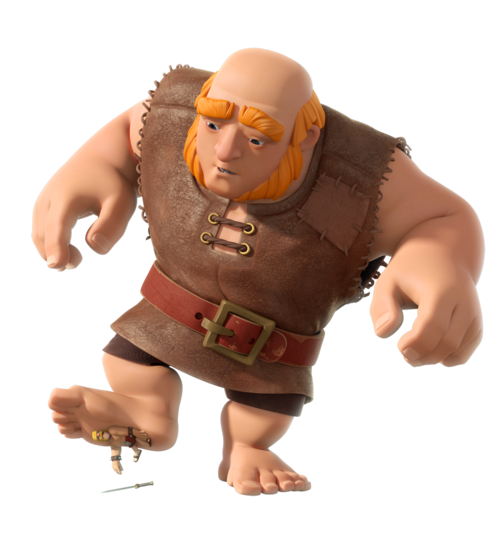 However, this change did not affect the look of the in-game unit; when viewed in Army Camps or in battle, the Giant still has the same look as it did prior to the update. When the Giant attacks a building, a puff of smoke rises from the target. 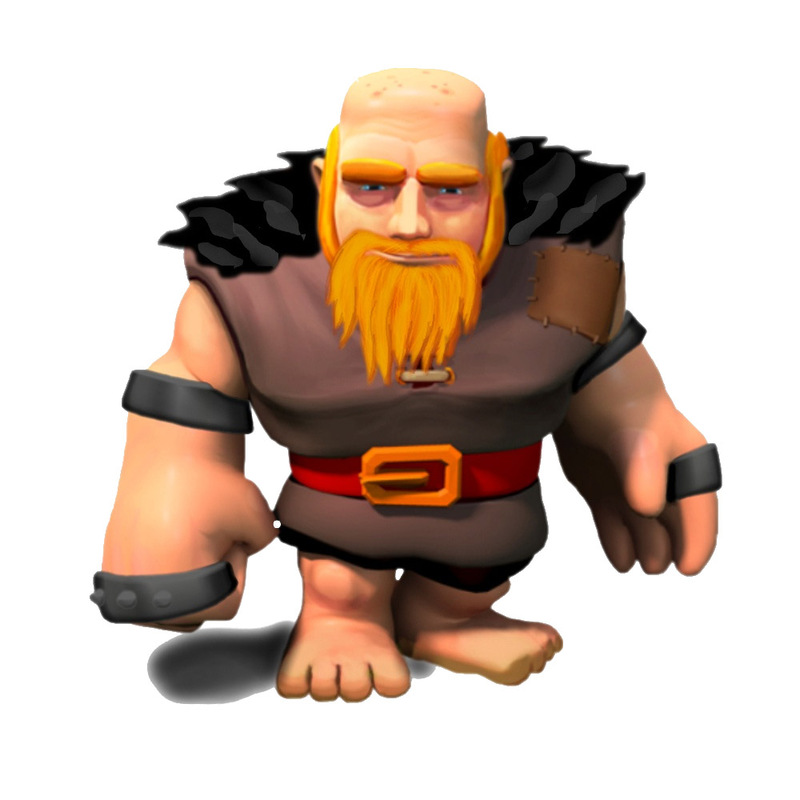 Giants, along with Barbarians and Archers, are currently the only three Troops that can be upgraded to level 7. 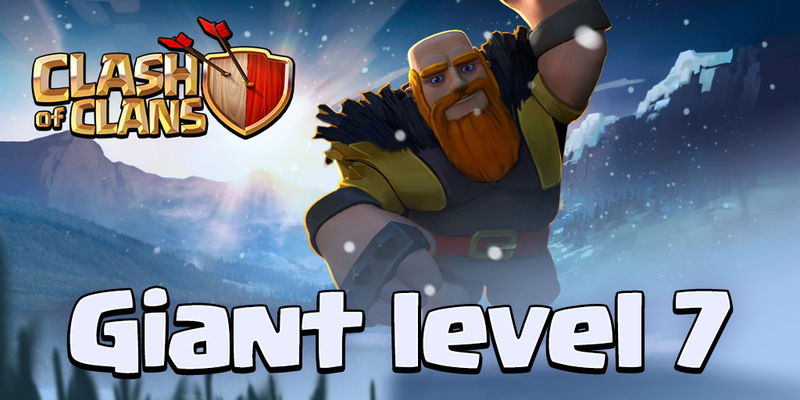 Since the 2014 Winter Update, the Giant is unlocked at Barracks level 3 instead of level 4. In addition, this update reduced the cost to train Giants of levels 1-5 by 250 elixir. Also since the 2014 Winter Update, the Giant was moved to Tier 1, and the Goblin was moved to Tier 2. The wiki as a whole voted to keep the Giant in the Tier 2 section.